Chances are, you’ve been hearing a lot about this lately: Organizations are increasingly turning to the concept of “culture fit” for successful recruiting and hiring. In fact, 'good cultural fit' is often viewed as more important than actual technical skillset or qualifications. Employees whose values align with the organization are more satisfied with the job, more productive, and tend to stay with the organization far longer than employees that tend not to share the same values, or, are not a good culture fit. One way to ensure that the right talent is hired is to use selection assessments that measure candidates’ cultural fit. To maintain a healthy organizational culture, cultural fit criteria must also be used to select and hire management. If leadership isn't practicing the values of the organization, employees who believe in those values and mission may leave the organization. Ultimately, it’s what leaders DO much more than what they SAY that makes the culture what it is. Therefore, it is imperative that organizations ensure all levels possess the attributes that make up the organizational culture. Managers play the key role in promotion and preservation of the organizational culture. Companies spend time and money training managers, and they want to keep them - at least the good ones. That investment is not fully realized when turnover occurs. The loss of mangers can be quite detrimental to the organization, as it may create decline in employee morale and trigger more turnover among other employees. 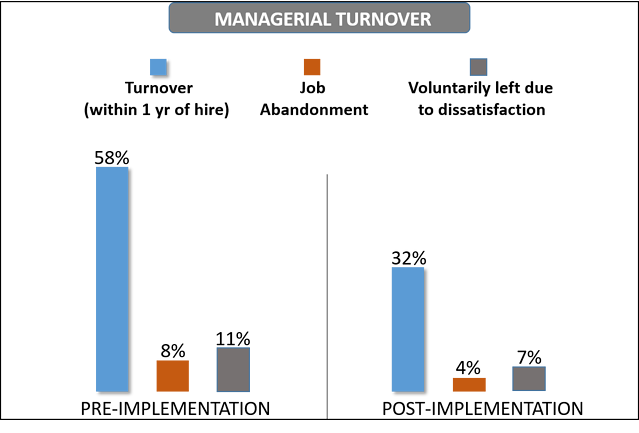 Frequent managerial turnover is thought to destabilize work teams and disrupt wider organizational routines and relationships, resulting in a reduction in organizational performance. So, it’s important for organizations to choose individuals who embody the culture and fit within the organization to reduce the likelihood of turnover. Prior to the assessment implementation, managerial turnover was approximately 58% within the first year of hire. After the using the assessment, managerial turnover dropped to 32% within the first year. That is a total turnover reduction of 26%. Moreover, job abandonment was reduced by more than half. Employees leaving due to dissatisfaction was reduced by almost half. A turnover reduction of this magnitude has great return on investment. Assuming an annual management salary of approximately $50,000, and 1,000 hires per year, and cost of turnover as equal to salary: This culture fit assessment would reduce turnover by 260 employees, saving the organization $13 million! While selection assessments are designed to predict job performance, they can also help improve other key organizational outcomes, such as turnover. Customized assessments can screen out candidates whose “cultural fit” does not align with the existing culture – these people are more likely to leave the organization. Our data show that people who were not screened by the cultural fit assessment were almost three times more likely to turnover than candidates who were screened. Cost reduction associated with turnover reduction can reach hundreds of thousands and even millions of dollars – talk about return on investment! 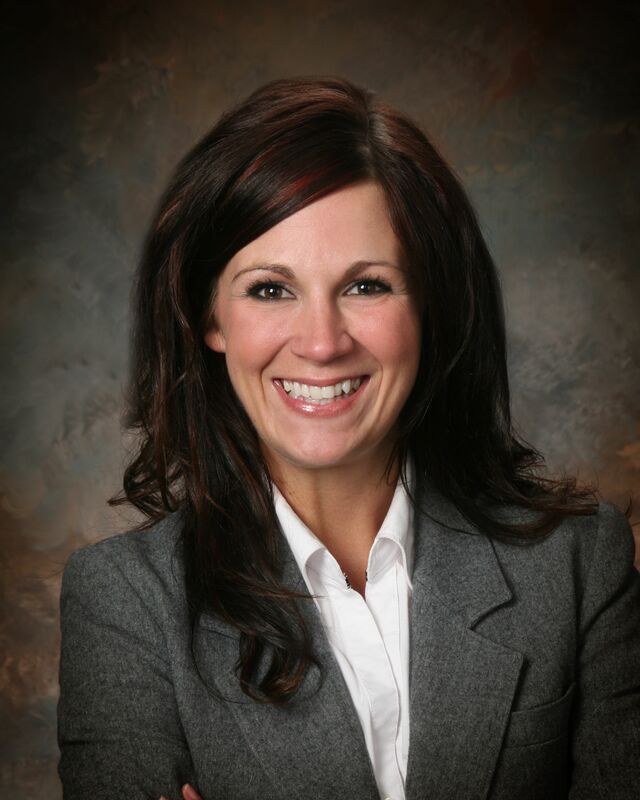 Kristin Delgado is a Senior Research Consultant at Select International. Her areas of expertise include analyzing data, designing and evaluating selection systems in terms of system utility, validity, fairness, and efficiency, and item response methodology. Kristin is a member of the Society for Industrial Organizational Psychology and maintains an active role in conducting applied research.